Book a ferry to Frederikshavn with AFerry. Ferries to Frederikshavn, in Denmark, are available from Norway and Sweden. You can take a ferry to Frederikshavn from Gothenburg and Oslo. Ferries to and from Frederikshavn are operated by Stena Line. When you search for a ferry to Frederikshavn, we will always show a range of times just in case it's cheaper earlier or later than the time you select. 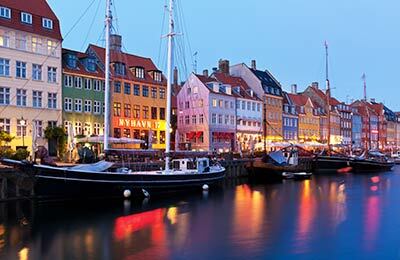 We'll also show you results for similar ports like Copenhagen, Grenaa and Helsingor to help you find the best times and prices to suit your plans. Frederikshavn ferries with Stena Line are known for their comfort and high levels of service, and you will feel like your holiday has begun the moment you step on board. Travelling to Frederikshavn will be easy and hassle free. Start by making your booking today, it's quick and easy. More than 3 million passengers pass through the Frederikshavn ferry port thanks to its excellent links to the rest of the European motorways and rail networks. Frederikshavn is a small fishing town dating back to the 1500s with some remnants of Stone Age habitation still remaining in places. Frederikshavn is famous for plaice fish. However, on the other hand the rest of the town provides a complete contrast and has a modern appearance to it characterised with modern buildings, lively night clubs, concert halls, busy shopping streets and an international atmosphere with a variety of eateries in and around the town centre. 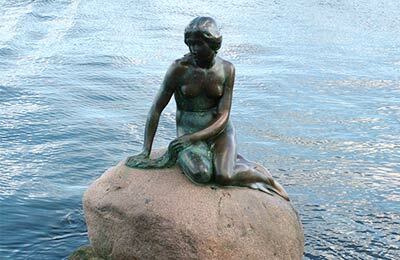 Frederikshavn therefore has a lot to offer whichever way you would like to explore the city. Frederikshavn Ferry Port provides various services in the passenger terminals. Car Parking On Sydhavnsvej nearby the terminal there is a Pay and Display parking available. No CCTV coverage. There is a more secure parking building in the port area which also offers Pay & Display parking. A free car park is available behind Krudt- tårnet which is a 5 minute walk from the ferry terminal. From the south you will reach Frederikshavn via Aalborg and the E45 motorway. On arrival in Frederikshavn, please follow the signs with a ferry symbol towards the ferry port. Frederikshavn bus and train station is 15 minutes walk away from the Frederikshavn Ferry Port. No matter what Stena Line ship you travel on your ferry to or from Frederikshavn, you are bound to have a pleasant and relaxing journey with this well known ferry company. Pleasant journey.stena could provide a few more seats at the Gothenburg terminal! Be like the Scandinavians and bring a trolley to take cheap alcohol off the boat. The trip itself was very good, aided by excellent weather. Unfortunately the ferry on which we booked had been cancelled by Stena Line so we had to re-book on an earlier crossing. We only found out about this when we checked in the day before to exchange our vouchers for tickets. We were not informed beforehand. Following our complaint we have now received an apology.